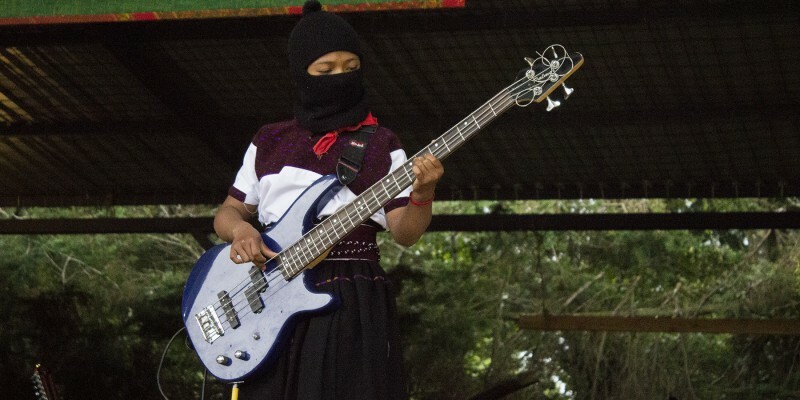 The Zapatistas’ first CompARTE festival, held in San Cristobal de las Casas, Chiapas, during the last week of July, drew more than 1,000 artists from around the world. The festival featured music, theater, and visual art performances and workshops. In a July 6 communique about the festival, the EZLN explained that “the arts are a hope for humanity… [and] that in the most difficult moments, when disillusionment and impotence are at a peak, the Arts are the only thing capable of celebrating humanity.” After its opening in San Cristobal de las Casas, the festival traveled through all five Zapatista caracoles, or autonomous zones.